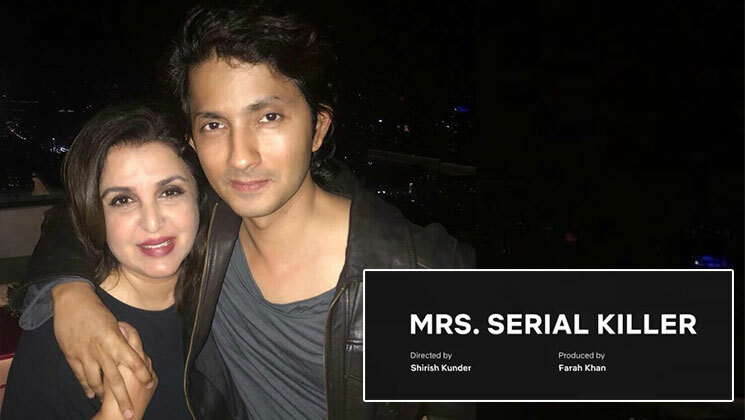 Farah Khan‘s husband and filmmaker Shirish Kunder is making his digital debut on Netflix. Yes, you heard it right. The film is titled as ‘Mrs. Serial Killer’. Sirish always had a dream of making a ‘killer’ entry into the digital space and with this, his dream will come true. The movie is produced by none other than his wife Farah Khan. He took to his Twitter handle to announce the news. Have a look at his tweet. Always wanted to make a “killer” entry into the digital world. So here I am, finally making my digital debut with a Netflix Original Film: MRS. SERIAL KILLER. Shirish has earlier directed movies like ‘Jaan-E-Mann’, ‘Joker‘ and a short film called ‘Kriti’. Yesterday, Netflix India tweeted on its Twitter handle about their upcoming 10 original Netflix films. Among them is Shirish’s ‘Mrs. Serial Killer’. The movie is about a husband who is framed for serial murders and how his wife tries to prove her husband innocent. Along with ‘Mrs. Serial Killer’, other films include ‘Guilty’, ‘Ghost Stories’, ‘House Stories’ and ‘Maska’ among others. We are eagerly waiting for the movie to stream on Netflix. Also Read: Did Farah Khan hint at remaking ‘Satte Pe Satta’, ‘Chalti Ka Naam Gaadi’ & ‘Hum’?